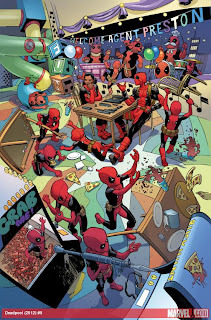 Mike Hawthorne: Deadpool #8 color preview! Marvel has a two page color preview for Deadpool #8, along with an interview with series writers Gerry Duggan and Brian Posehn. Check it out! Colors by the talented Val Staples! More Deadpool #8 sneak peeks!